Last fall I bought a 03 EFI SV650, it would run great above 4k rpm's but would hesitate and idle inconsistently below that. I ran a couple tanks of gas through it with heavy doses of seafoam, and installed new plugs but it didn't help. Over the winter I was told that the previous own had left the bike sit out during a winter and it got a lot of water in the tank. 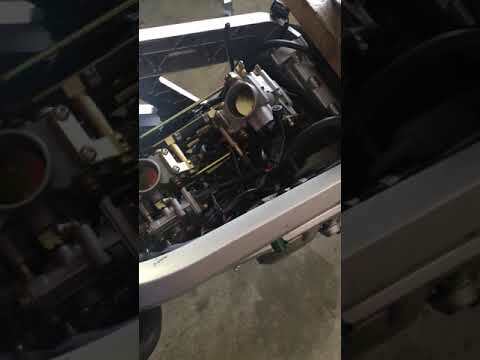 Instead of draining and replacing the gas, he force ran it through the motor. They said the bike never ran right afterwards. I'm thinking about replacing the fuel pump unit (pump, filter, and pressure regulator are all one unit) My thought is maybe the fuel pressure regulator is part of the problem. I don't have the correct tools to measure fuel pressure or to sync the throttle bodies so i'm basically just throwing parts at it. Btw the bike only has 8k miles on it. 2003 SV650 is making spitting noises from the rear cylinder throttle body. Anyone know what causes this? Could be a number of things, but the beauty of EFI is the E part. The computers have a diagnostic mode that should help narrow down the problem. This should help with the process pulling codes and with determining what the codes mean: https://www.svrider.com/forum/showthread.php?t=110382. I'd check that first and go from there, but if that doesn't help, try Googleing: 2003 suzuki sv650 efi diagnostic codes. Last edited by Doc_V; 02-02-2019, 01:56 PM. Sounds like an issue with an intake valve maybe a slightly bent intake valve? If he force fed watered fuel it could have been enough to bend a valve. it is spitting when the valve rotates during open/close and hits the seat. Years ago my FIL bought a boat that was exactly the opposite. it ran great at low to mid rpm and when you put it to WOT it would start to miss and backfire. After I narrowed it down to a couple cylinders I pulled the valves and had to hammer them out. I found bent valves on a couple cylinders. I lapped a couple new valves in it and life went on for the price of the valves and a couple head gaskets. Your issue sounds mechanical to me not electrical. I pulled the codes today and had 3 of them. then I realized that it was probably due to not having the air intake box hooked up. I put it back on and all 3 codes went away. As much as I hate to say it, what DaveJ said make a lot of sense. The problem with the this bike is that the motor has to come out to remove the rear head. i'm not sure that I want to get into that with this bike. 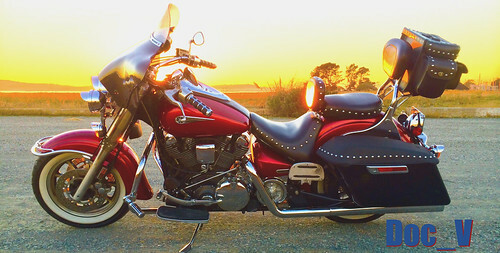 So for now, I put the bike up on CL as a mechanics special for $1200 to see if I can recoup my money or at least most of it, and move on to the next one. If it doesn't sell within a few weeks maybe i'll look into pulling the motor then. I've had real good luck with the last few bikes i've bought and sold, so I guess I can't complain if I loose a little on this one.